Start (as almost always) by preheating the oven to 170ºC (340ºF) and buttering and lining with parchment paper your cake pan. If you have the one with the removable ring then it will be much easier for you in this case. 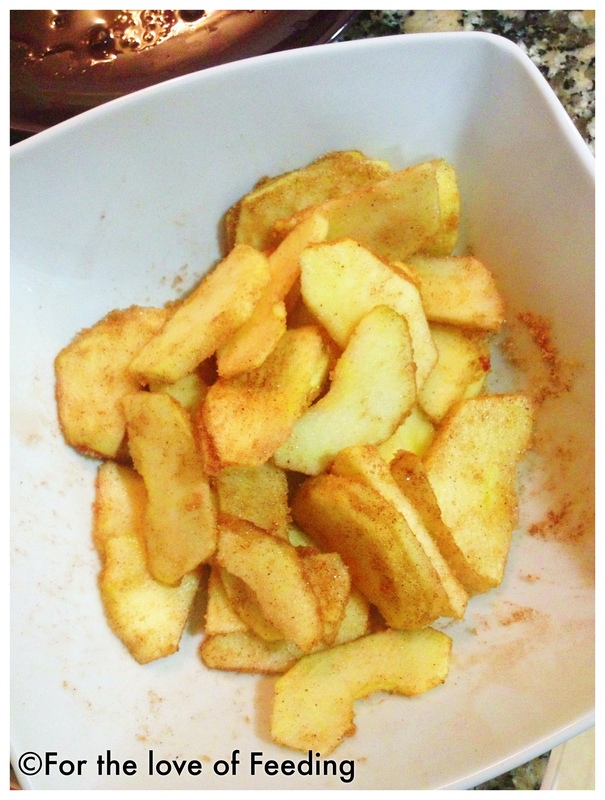 Slice the apples (roughly 5mm-0.2inch thick) and mix them with the cinnamon-sugar awesome combo (keep 2tbsps of the mix). Remember to keep 2 apples to dice later. Place them all around the pan, on top of the parchment paper, nice and neat. Sprinkle the remaining cinnamon-sugar. Pour the batter on the apples in the cake pan. Place the pan in the second from the bottom position of your oven (or anywhere that is a bit lower than the middle, without touching the bottom). Bake for around 40min (check at 30min with a wooden skewer to see if it comes out clean). 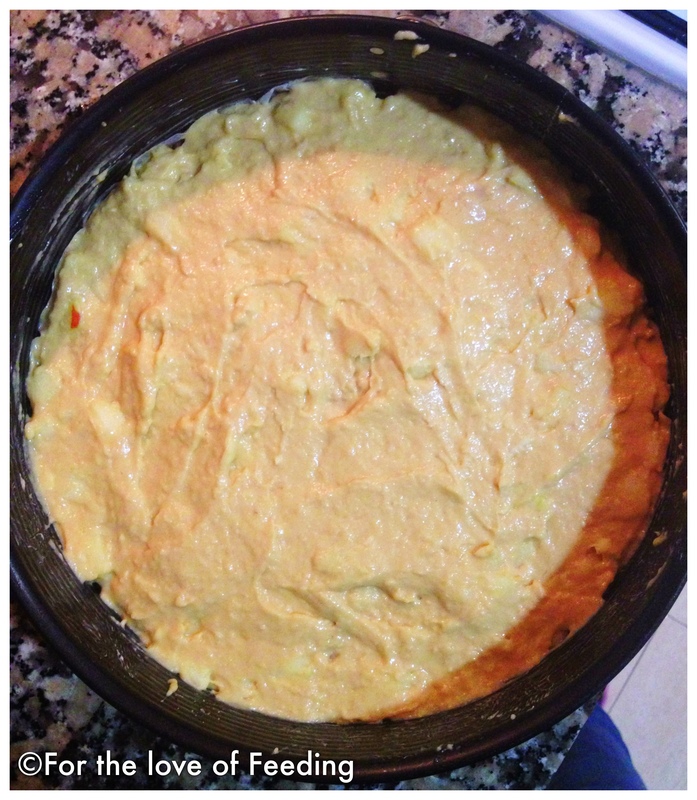 Remove the cake and let it cool for 30min-1h in the pan. Remove the outer ring,place a plate on top and flip carefully. Remove slowly the parchment paper. By now your home will be filled with an amazing scent of caramelized apples and cinnamon. So, wait no further and enjoy a generous slice! Needless to say it will go great with some vanilla ice-cream! 125g butter (a stick), room temp. Preheat the oven to 170ºC (340ºF) and butter and line with parchment paper your cake pan. If you have the one with the removable ring then it will be much easier for you in this case. 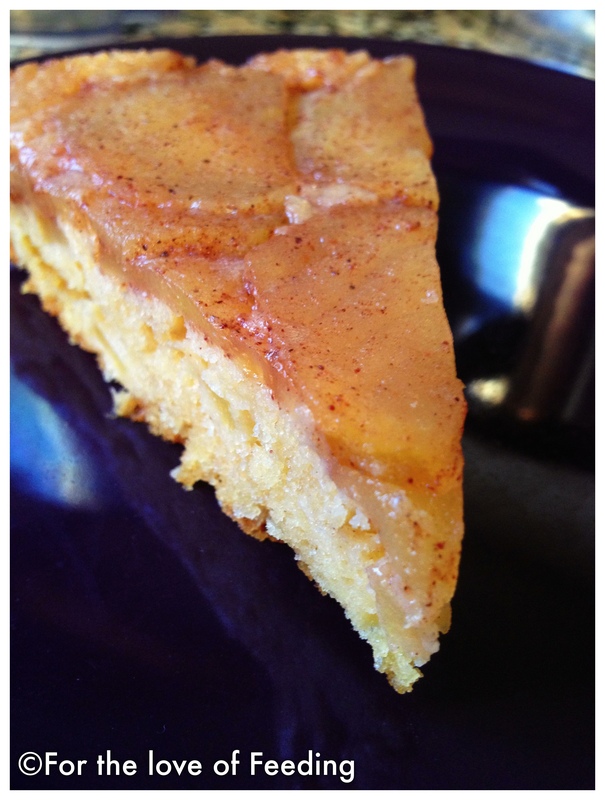 Slice the apples (roughly 5mm-0.2inch thick) and mix them with the cinnamon-sugar combo (keep 2tbsp of the mix). Remember to keep 2 apples to dice later. Place them all around the pan, on top of the parchment paper. Sprinkle the rest cinnamon-sugar. Beat the butter and sugars together until creamy, add the eggs, vanilla, yogurt and cognac, and incorporate the flour (mixed with the baking powder and the salt), preferably with the spatula. Drop the diced apples and fold them in. 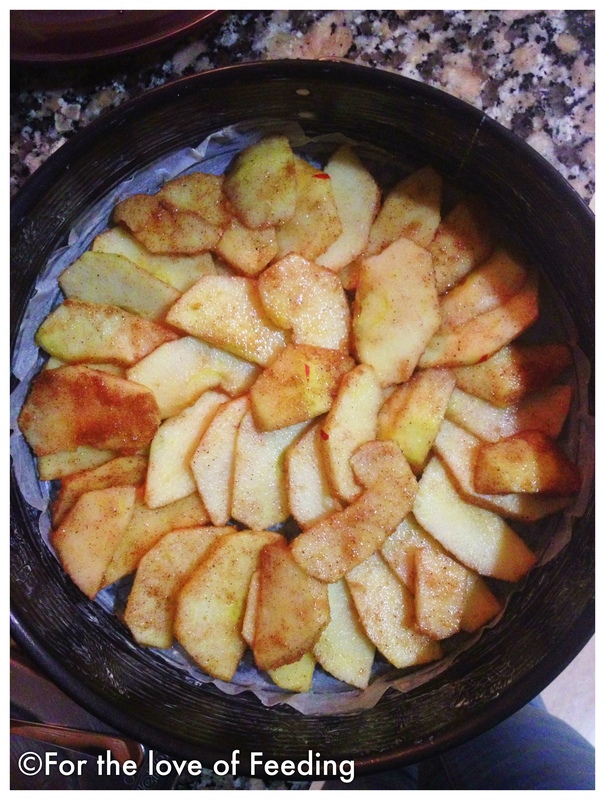 Pour the batter on the apples in the cake pan. Place the pan in the second from the bottom position of your oven (or anywhere that is a bit lower than the middle, without touching the bottom). Bake for around 40min (check at 30min with a wooden skewer to see if it comes out clean). Τι τέλεια!! 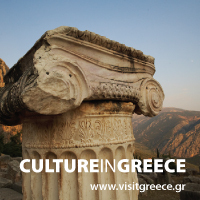 Με το καλό λοιπόν Βασιλική μου! Χαίρομαι που είσαι καλύτερα τώρα! Η αλήθεια είναι ότι αναρωτιόμουν που έχεις χαθεί, αλλά δεν πήγε κατά εκεί το μυαλό μου! Χαίρομαι που είσαι καλά και που επανήλθες και μάλιστα με κεκάκι κομμένο και ραμμένο στα γούστα μου! Πολλά φιλιά και να προσέχεις! Άντε με το καλό να σας έρθει, τώρα που πέρασαν οι ναυτίες είναι η καλύτερη περίοδος πάντως. Yikes, and there I’d thought I’d left a comment. Anyway, it was just to say to wish all of you well! Thrilled with the good news. Congratulations, Villy! That is wonderful news and a beautiful cake 🙂 Good to see you back! Congratulations! 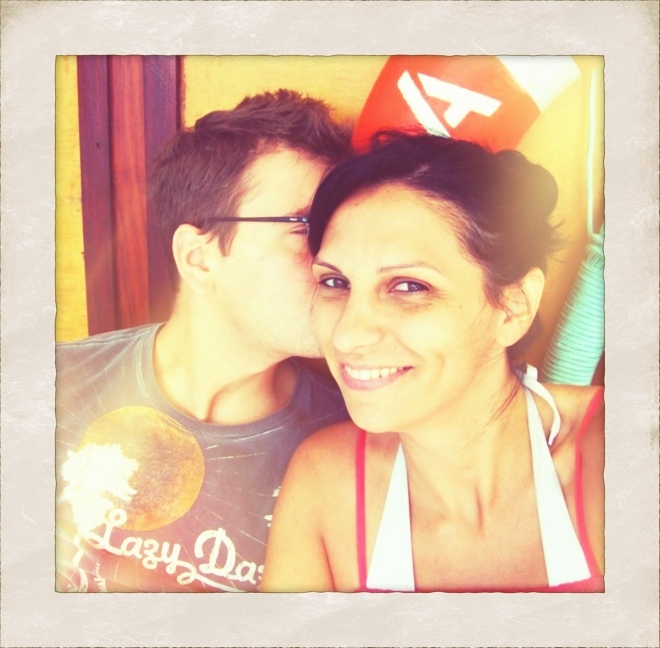 Wishing you a healthy pregnancy and hopefully the nausea stage will be over soon. 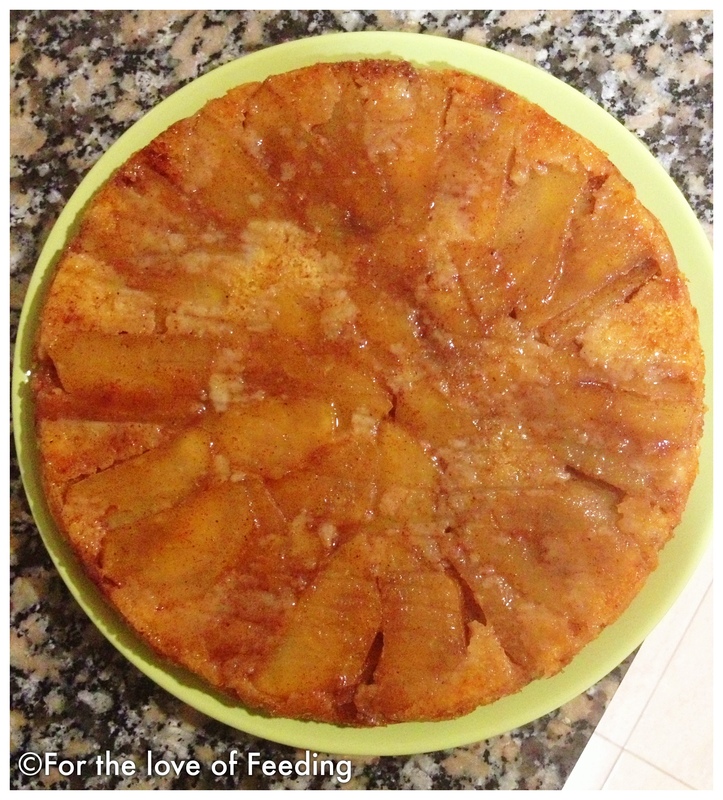 Beautiful apple upside down cake. It must be something that the baby is craving… your baby has good tastes as now I am craving this too. 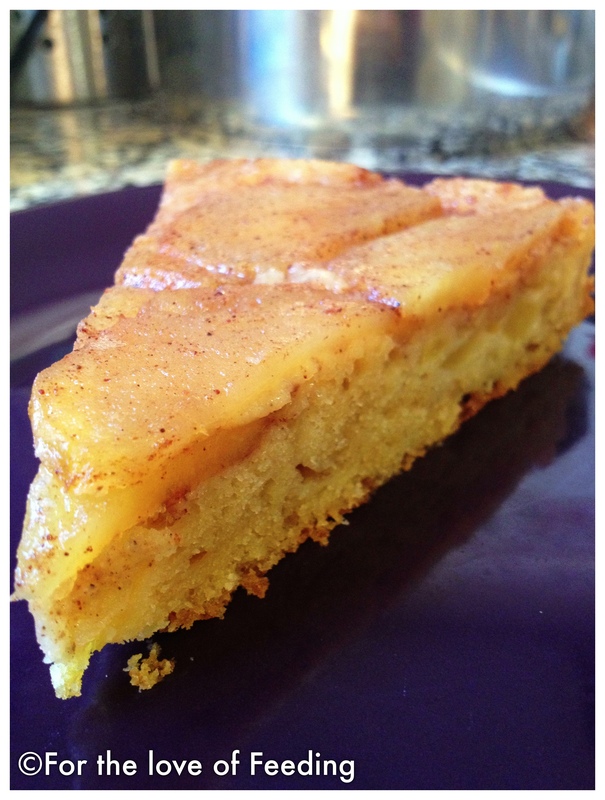 I have made pineapple upside cake before, but never tried it with apple. This looks especially good, so I know i’ll be giving it a try!